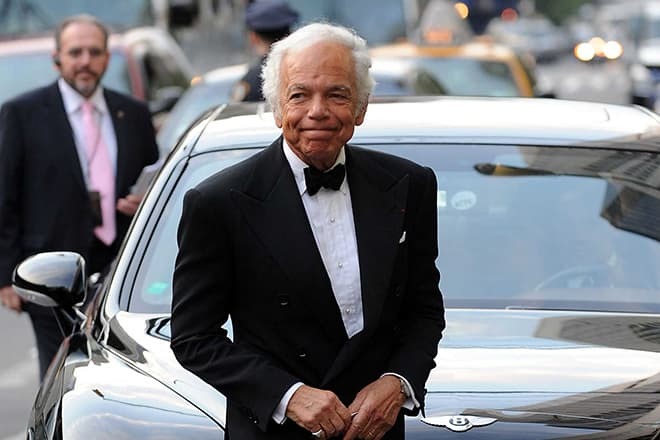 Ralph Lauren is an American designer, modeler, founder of Polo Ralph Lauren Corporation, the owner of the following brands - Ralph Lauren, Rugby, RL Childrenswear, Polo Jeans Co., RRL, RLX, Club Monaco, Chaps, Blue Label, Purple Label, Lauren, Ralph Lauren Home. Chevalier of the Légion d'honneur (2010), the owner of the title - "Fashion legend." 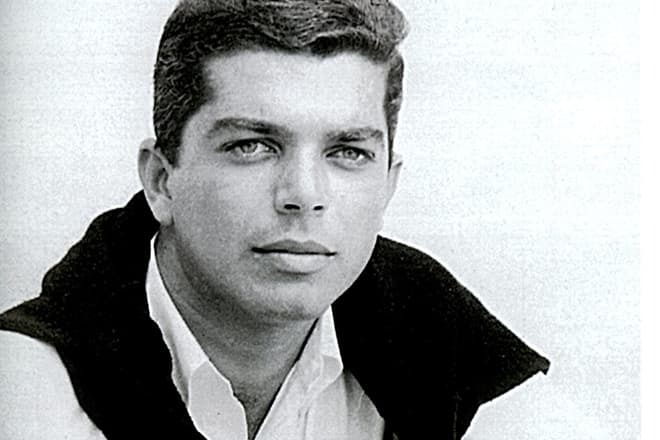 Ralph was born on the 14th of October, 1939 near the New York’s district Bronx in the family of the Belarusian Jews. His father Frank Lifshitz was from Pinsk, and his mother Frieda Cutler was from Grodno. Both of them emigrated to the USA where they met each other and married at the age of sixteen. Four children were born at the family. The Lifshitz family had to huddle together in one bedroom apartment. The emigrants lived in poverty: the painter’s salary which Frank received was hardly enough to make ends meet. The future modeler Calvin Klein lived together with this noisy Jewish family. 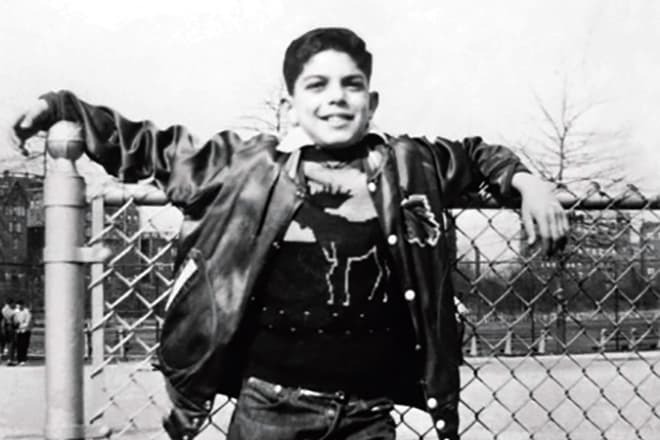 In his childhood, Ralph was engaged in the sport. The boy prepared for the basketball player’s career. But once, when he once visited his schoolmate from the wealthy family, Ralph was impressed by the big dressing room for which there was assigned a separate room. In Lifshitz’s apartment there was only one common wardrobe, and often Ralph had to wear clothes after his elder brother. After having seen the luxurious life of his classmate, Lifshitz decided to become successful and wealthy. In the beginning, the boy saved up some money for his first three-piece suit which he bought at the age of twelve. By the age of sixteen, Ralph changed his surname for the Americanized variant of Lauren by the example of his relatives who had moved to California. The young man finished DeWitt Clinton High School and entered Marsha Stern Talmudical Academy where he spent a couple of years. Ralph transferred to the Economics Department at Baruch College, at the City University of New York on Manhattan and in 1962 he had to do his army duty. Having demobilized, Ralph Lauren received a job in the Brooks Brothers company. Then, he transferred to Rivetz&Co company which specialized in tie tailoring. After Ralph had read the novel The Great Gatsby he offered the brand’s owners to create wide ties, but the young man’s novelty wasn’t met positively by the brand’s designers. Then Lauren launched his production of men's accessories. Ralph succeeded in convincing the owners of Bloomingdale's and Neiman Marcus shops to pursue the large quantity for distribution. In 1967 the aspiring fashion designer had got his first investor – Norman Hilton who invested in Lauren's Polo Fashion company $50,000. Ralph managed to increase the production and to open his shop. A year later he opened the department in the brand Bloomingdale's boutique. By the year 1969, there was released the first Polo Ralph Lauren male clothing collection which. 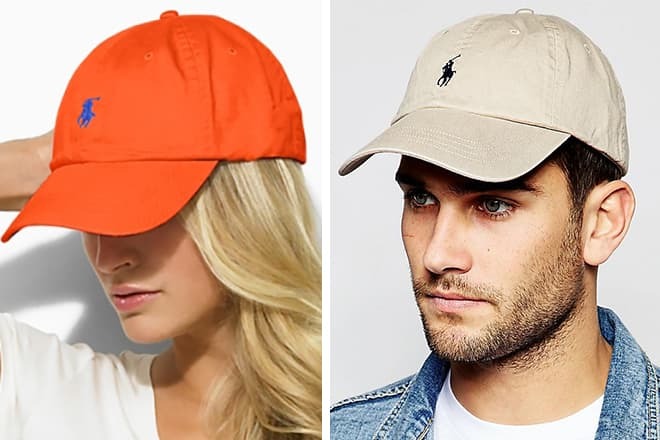 The polo player became its logo. The company’s name aroused associations with the aristocratic world at the clients. Creating the elements of men’s clothes, the modeler safely combined British strictness with sports elements. The models of loose trousers, shirts, polo shirts, blazers and official jackets were included in this collection. Young people in business and seniors bought the clothes of the Ralph Lauren brand. In 1970 Lauren who at that time was a fashion designer without special education, received the first award of the fashion critics - Coty Award. 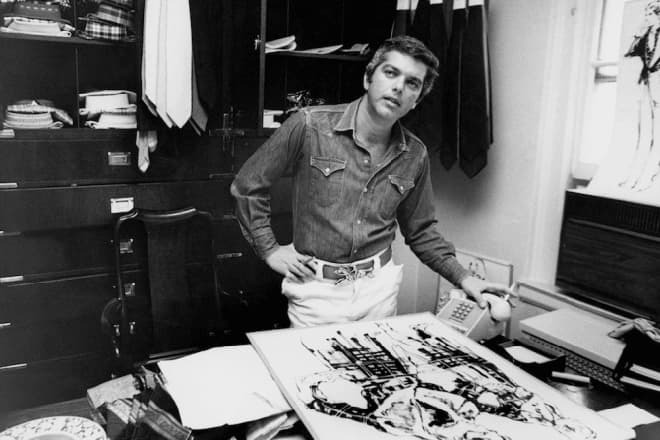 At the beginning of the seventies, Peter Smith occupied the post of the president of Ralph Lauren’s company. Peter Smith increased the production using the creation of the perfume line and expensive accessories. Increasing shop floors, Ralph opened the shop in Beverly Hills, on Rodeo Drive. In 1971 there was released the first Ralph Lauren collection for women - Women’s wear. The cotton shirt which had male tailoring became a real hit of this collection. Ralph took this idea from his wife who often bought herself men's shirts of the smaller size. 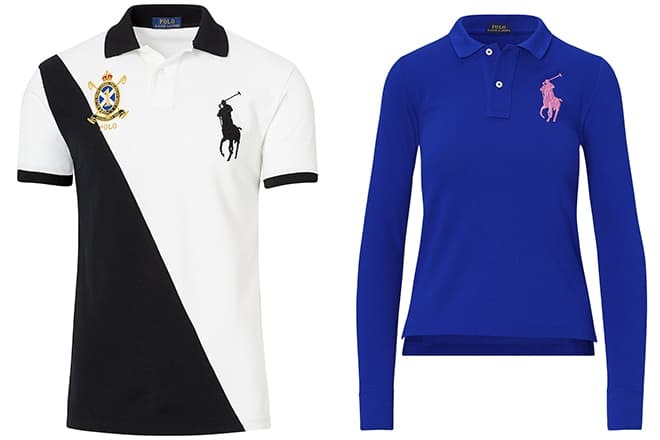 Ralph Lauren became the unique designer in the whole world who created the collection of the sports shirts produced in 24 colors. At that time there also appeared polo T-shirts with the image of the company’s logo. Lauren gained the recognition in Hollywood: in 1974 the modeler received the offer to create the sketches of the costumes for the movie The Great Gatsby. In a year the designer’s team received Academic Awards. In the mid-seventies Ralph continued to increase his production: the designer released the sports clothing line - CHAPS by Ralph and the collection of Ralph sunglasses. Lauren managed to transform the sportswear into the benchmark for good taste. In 1978 the famous perfumes – men's eau de toilette Polo and women fragrances Tuxedo and Lauren appeared on the market. The same year there took place the presentation of the revolutionary designer's collection called Western wear in which Ralph combined the English country style with the American westerly direction. Ralph discovered to the public leather and suede articles with the fringe on the sides, high boots, and ranch jackets. It was the first time when the American style received mass distribution in Europe. The modeler significantly contributed to the creation of the children clothes for all ages. 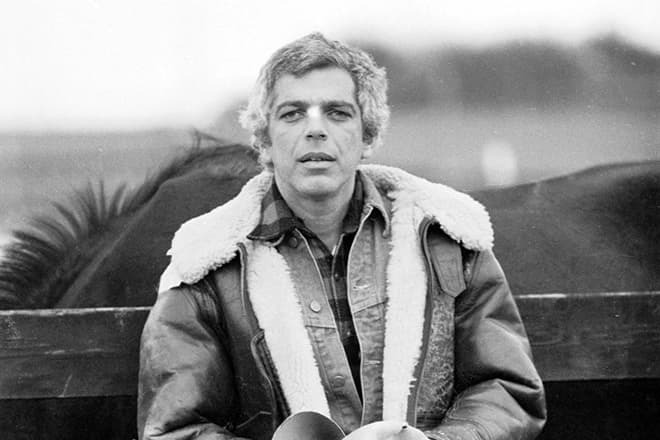 In 1979, feeling the modern time trends, Ralph Lauren was working with PR-agencies and created significant advertising projects. In 1981 Lauren launched a line of house textiles, tableware, interior design items under the name of Home Collection. As the bed linen was sewed of the shirt's fabric, Ralph decided to decorate the pillowcases with the buttons. In the eighties there we released the collections of underwear, furniture, and leather items. Ralph Lauren also opened his boutiques in London. In 1986 the photo of the American modeler appeared on the cover of Time edition cover. The businessman’s biography and his interview were published in this magazine. 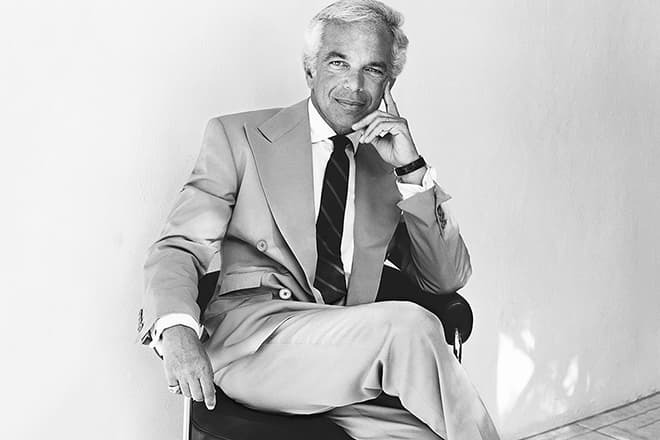 Ralph Lauren presented himself to the readers as a person who had realized the American dream. The modeler managed to reach the high society from the bottoms. Ralph Lauren is one of few designers who work with the modern technologies. In 1997 the fashion designer’s company stocked tips on the US stock exchange. Later the company pursued Club Monaco brand and opened its official website - Polo.com. Then there appeared the online shop with lower prices in comparison with the brand boutiques. At the beginning of 2000, there was opened a showroom in New York. A unique program appeared on the website with the help of which any client could create his design of the polo-neck, choose the color, size, and length of the item. Since 2006 Ralph Lauren doesn't use natural fur while creating his clothes. The designer donates funds for charity purpose. He is a member of the foundation which fights against the breast cancer. In 2006 Lauren concluded the contract for the creation of sportswear for Wimbledon. In 2007 the designer became the only owner of the title - Fashion Legend from the American Council of the fashion designers. Till that time Lauren already had 300 brand shops in the world, including shops in Russia and Japan. In 2007 six Ralph Lauren boutiques were opened in Moscow where one can buy not only clothes and house interior articles but also shoes, bags, and perfumery. Since 2008 Lauren's company produces tracksuits, caps, and badges for the USA Olympic team, using the colors of the national flag. 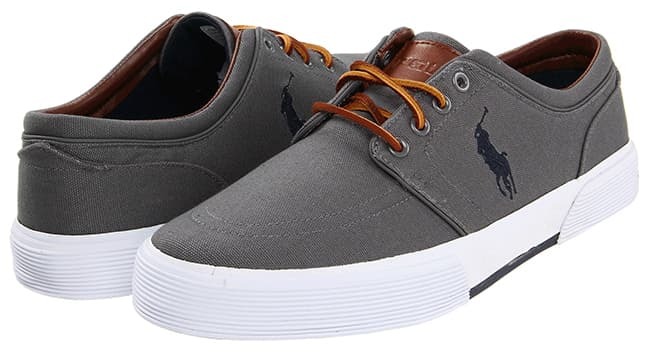 In 2015 Ralph left the company’s business for some time, having provided the post of the creative director to Stefan Larsson, the former Old Navy brand’s top- manager. In 1964 Ralph Lauren married Ricky Ann Low-Beer, who was a therapist by her education. The designer got acquainted with her when he was a student. Their family turned out to be strong and united. His wife not only maintained home comfort but inspired the designer as well. She gave birth to their three children – sons Andrew and David, and a daughter Dylan. Ralph’s eldest son Andrew has received acting education, took part in the movies and got engaged in the producing. David helps his father with his business. Ralph’s medium son is a vice-president's at Polo Ralph Lauren company; his wife is a niece of the ex-president of the USA - George Bush. Lauren's daughter Dylan has her own business. Dylan’s shop Dylan’s Candy Bar is situated in Manhattan and is considered to be the largest outlet selling sweet things in the world. At present, the modeler continues producing clothes and amazing his admirers. The presentation of the fall-winter 2017-2018 collection took place on the 27th of July in Lauren's garage in Brooklyn. The designer used his private cars in the show - Ferrari, Bugatti and Bentley models of the beginning of the 20th century. The public could buy novelties right at the fashion display. 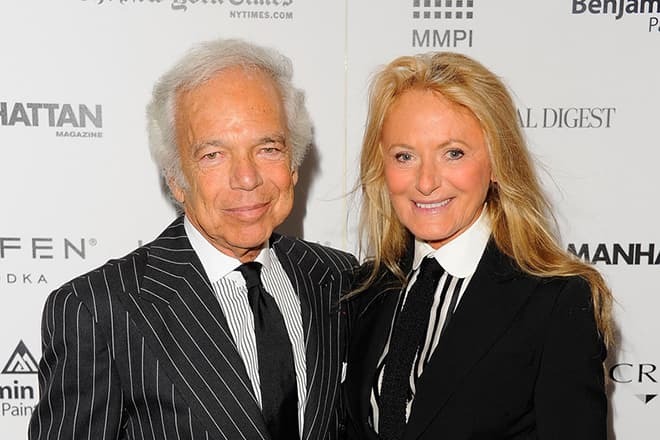 Ralph Lauren's wealth amounts at $7,5 billion what makes the modeler one of the wealthiest people both in the USA and in the world. The fashion designer takes the 57th position in the USA and the 165th place in the world according to the Forbes’ rate.